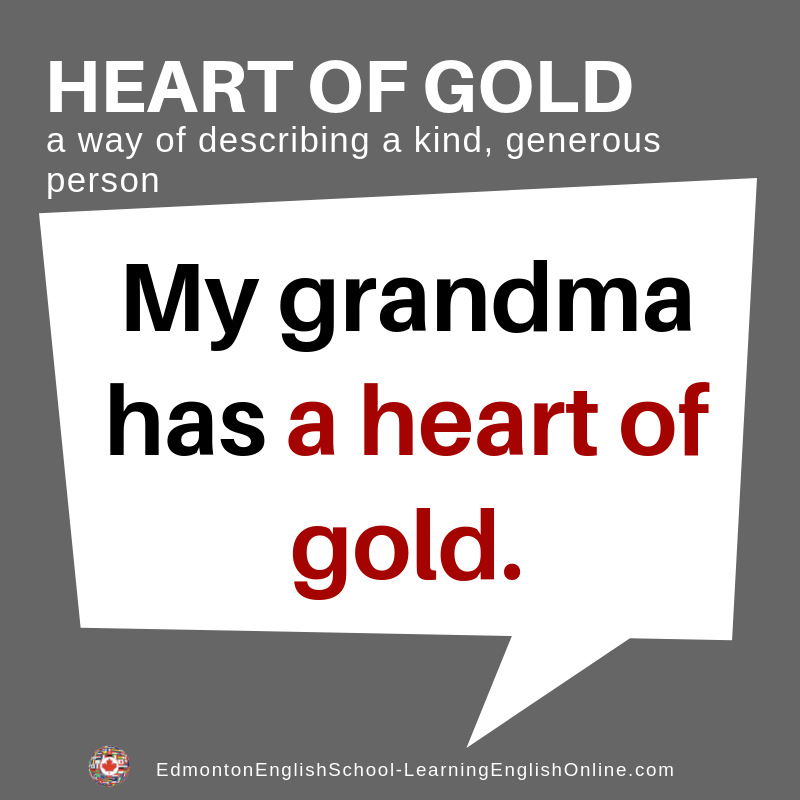 To have a heart of gold means to be a very kind person, with a generous nature. 1. 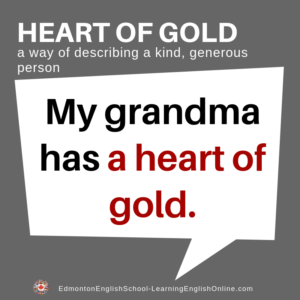 My grandmother has a heart of gold. She has something kind to say about everyone. 2. See STORY example: Underneath all his burping and loud opinions, he has a heart of gold.